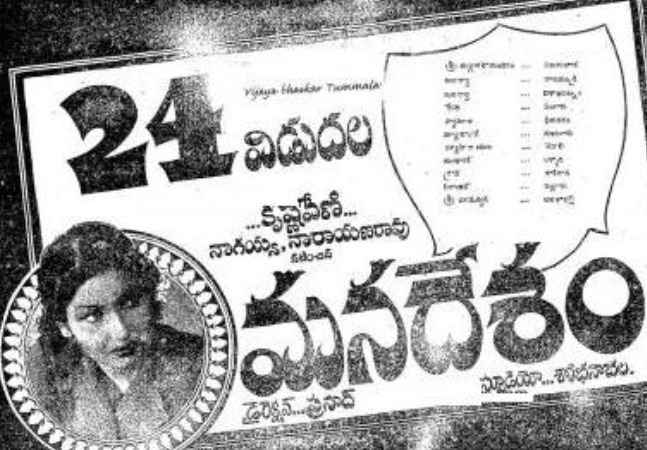 Rare Gold: Poster of NTR's debut film! SNR February 18, 2014 15:09 IST Rare Gold: Poster of NTR's debut film! Telugu film industry's Thespian, Nandamuri Taraka Rao made his debut as an actor in a social film, Mana Desam in 1949. The film was directed by LV Prasad. NTR played a little role as Police Constable in the movie. In the picture is the release poster of Mana Desam movie. NTR later went on to act in 350 plus movies and became a matinee idol for Telugu people. NTR later ventured in to Politics and became Chief Minister of Andhra Pradesh after floating Telugu Desam Party in under one year.